National League Central Division Champions!!!! 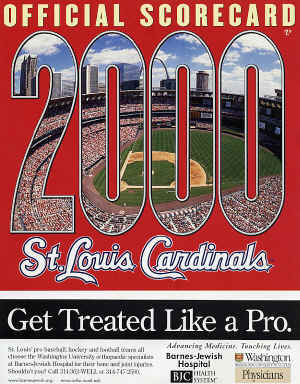 2000 National League Central Division Champions!!!! The Birds seemed to run out of gas against the Mets pitching... Good pitching will always win in the end. They will back strong next year with most of the same cast. If they can continue with decent pitching in 2001, they should be back in the postseason! 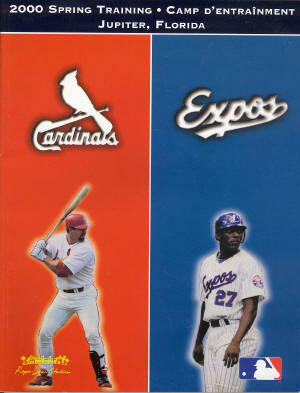 On March 23rd, the Cards trade pitcher Kent Bottenfield and second baseman Adam Kennedy to the Anaheim Angels for Jim Edmonds. The Cards tied a major league record for most HRs in a month, with 55 HRs in April! 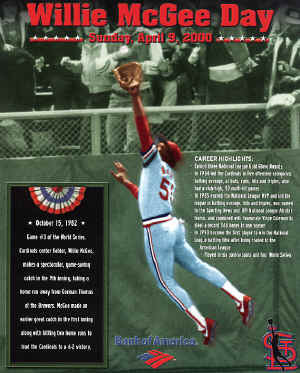 The Cards swept a series in Philadelphia (late April) for the first time since 1979. On June 22nd, the Cards overcame an 8-1 deficit to beat the Giants. In a weird game, Barry Bonds with help from swarming moths, helped a ball over the left field fence to give the Cards the lead late in the game. In late August, the Cards took 3 out of 4 from the Braves at Atlanta. 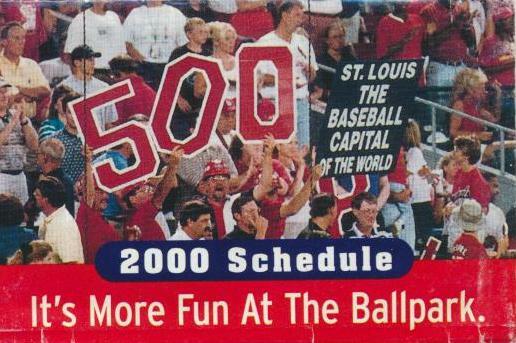 In early September, the Cards sweep the Mets at Busch winning all three games in dramatic fashion. The Cards clinch the Central on September 20th with a 11-6 victory over the Astros! 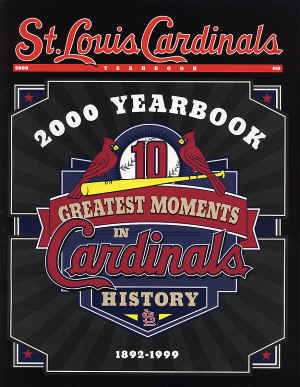 The Cards tied a NL season record by hitting 12 grand slams. Darryl Kile (20-9) becomes the first Cardinal pitcher since Joaquin Andujar (21-12) and John Tudor (21-8) in 1985 to win 20 games in a season. 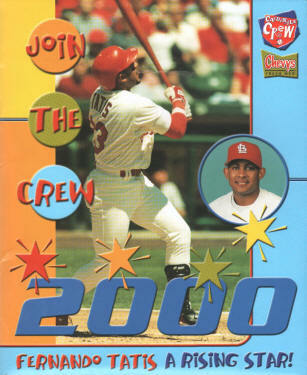 The Cards set a single-season franchise record for most home runs (235). 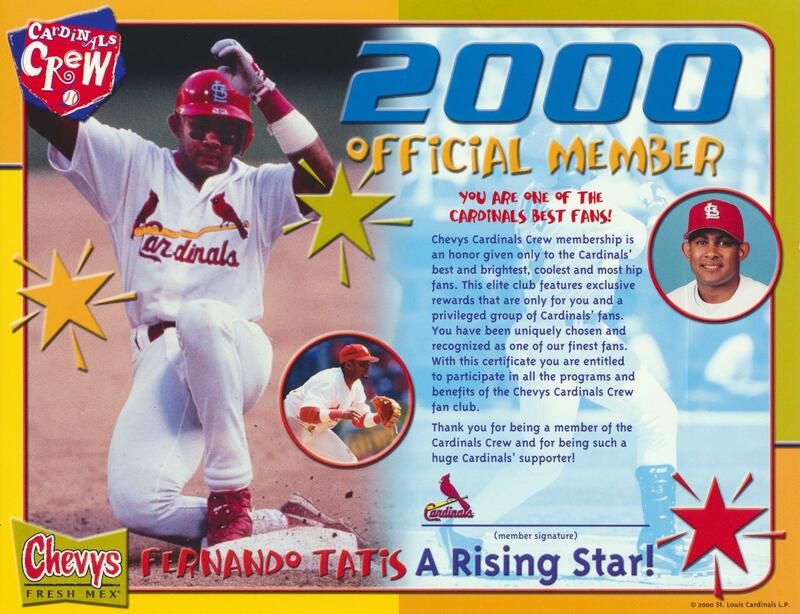 Edgar Renteria sets a Cardinals home run record by a shortstop with 16. 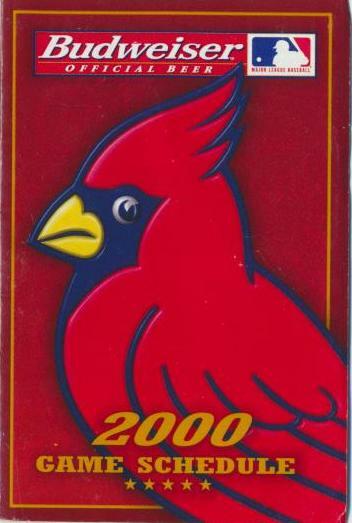 Future Cardinals' closer Ryan Franklin wins a gold medal at the 2000 Olympic games in Sydney, with a 3-0 record and 0.00 ERA. Rick Ankiel becomes the first Cardinals starting pitcher to average over 1 strikeout (1.11) per inning for the season. 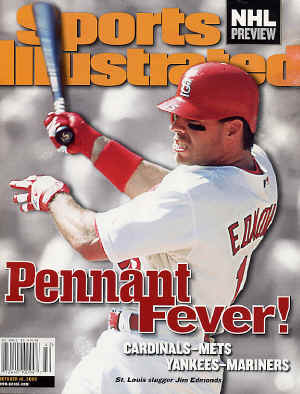 Jim Edmonds - What a pickup for the Birds in 2000!! Where would we have been if he wasn't on the team? 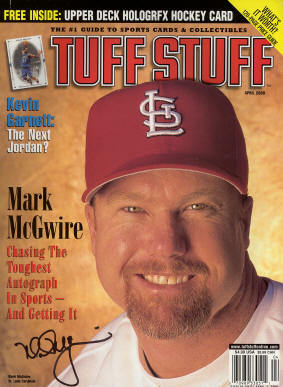 With the Big Man (McGwire) hobbled for more than half the season Jim picked up the team with a career high in home runs (42) and RBIs (108). Darryl Kile - Get him away from the light air in Colorado and he gets down to business with 21 wins including one in the postseason. Barring injury he should have a long career with the Cardinals. Will Clark - Another brilliant acquisition during the season (reminiscent of moves during the championship seasons of the 80's) by the top brass. "The Thrill" provided many thrills including a home run in his first Cardinal at-bat! He provided the necessary push to take the Birds in to the playoffs. Garrett Stephenson - Rocky start in the spring, but came around as one of the Cards' most reliable arms. A late season elbow injury hopefully will be healed for the future. 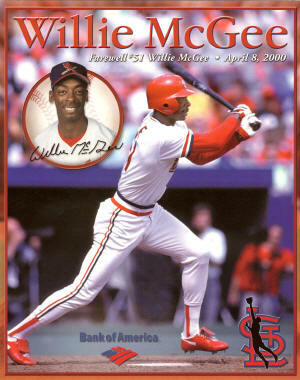 Edgar Renteria - Some defensive lapses, but became one of the best clutch hitters the Cardinals had during the year. Fernando Vina - Had leg injuries most of the season, but was still able to be a good-to-great leadoff hitter. His defense was also just as good, if not better, as his offense. Rick Ankiel - Wow! What a year! Hopefully he can get the playoffs out of his head and return to just pitching. He has the potential to be an unbelievable star. J.D. Drew - This guy, I think, will be the real deal soon. He showed signs this year and has made steady improvements over the past couple of years. Could he be the next "Thrill?" Craig Paquette - Somewhat disappointing the year, but still has everyday potential. Hopefully will handle plenty of playing time in 2001 well. Andy Benes - Great to have him back in the Cardinal uniform and was a strong steady performer until his knee injury flared up. Alan Benes - Hopefully he will get more chances in 2001 and gained arm strength over the off-season. It would be great to have the Benes "boys" pitching well again! 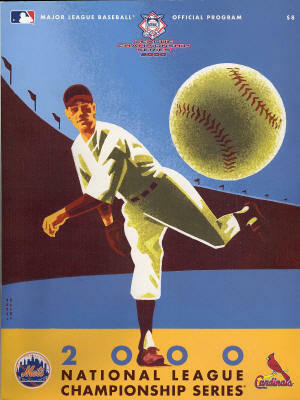 Ray Lankford - Just never got in a groove this year, however did manage to hit 26 homers. He has got to get it together in 2001. Garett Stephenson named pitcher of the month for May!! Kieth McDonald smacks two HRs in his first two at-bats!!! Chris Richard hits a HR in his first at-bat!!! Will Clark named player of the week! Stan Musial is inducted in the Missouri Hall!!! Edmonds and Mattheny win Gold Gloves!